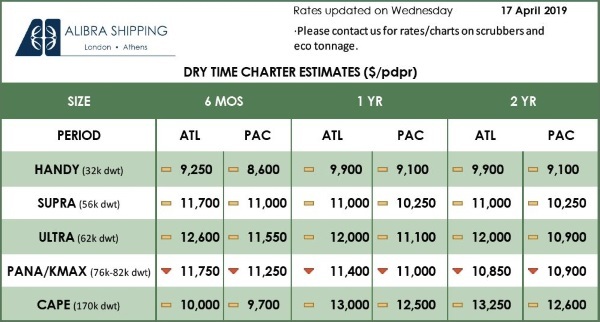 After an extensive study project, Eco Marine Power (EMP) has released some of the key findings related to the use of solar power on ships and the selection and installation of related equipment. This study was carried out over a 5 year period and included: installation of a trial system on the high speed RoRo Ferry Blue Star Delos, several ship surveys, computer-aided analysis, plus evaluation of various equipment in a test lab and also at an outdoor evaluation area. 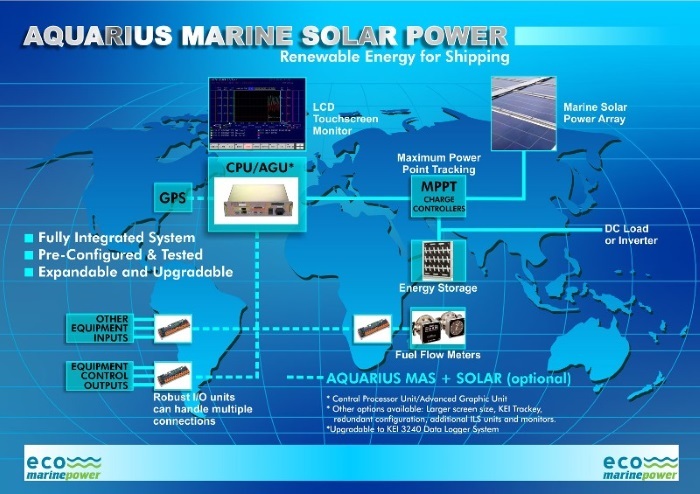 The overall system design used as a basis for the study was EMP’s Aquarius Marine Solar Power. This system incorporates class-approved hardware and is able to provide a stable and reliable source of emissions-free power on-board ships or it could be used as an emergency back-up power system. The study covered a range of topics including system design, system performance, installation methods, hardware selection and a review of marine-grade photovoltaic (PV) technologies. 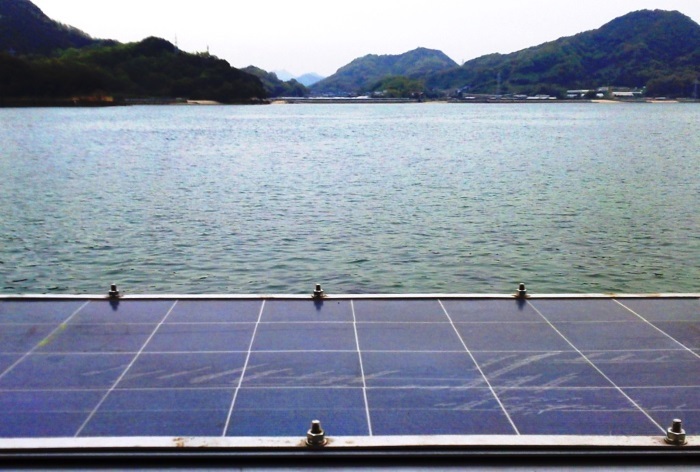 The type of PV module best suited for a ship-based project may vary depending on a number of factors including the location where the modules will be installed. In some cases PV modules of differing types and/or technologies may be required in different locations. Careful attention needs to be focused on the way the PV modules are installed and mounted. For best results specially designed marine-grade frames suitable for use on ships should be used. High quality valve regulated lead acid (VRLA) battery technologies are suitable for ship-based solar projects. These batteries are cost effective and require very little ongoing maintenance. The installation methods suggested by the PV module manufactures may not be suitable for ships, and customization of the PV module may be required in certain cases. A class approved monitoring system should be included with any ship-based solar power system. A solar power system on a ship combined with DC loads such as lighting can be an effective way to reduce system cost, lower power losses & simplify the overall system design. Customized high quality PV module and frame kits have been developed. 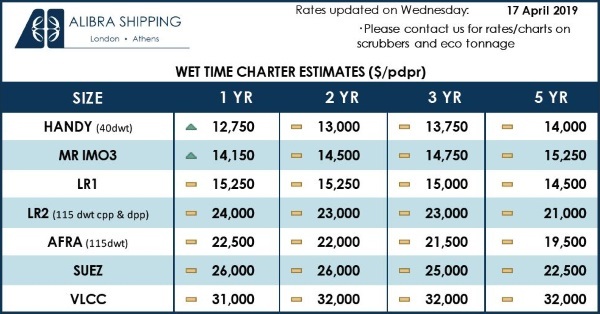 Several types are available with each type modified if required to suit a particular ship type or application. 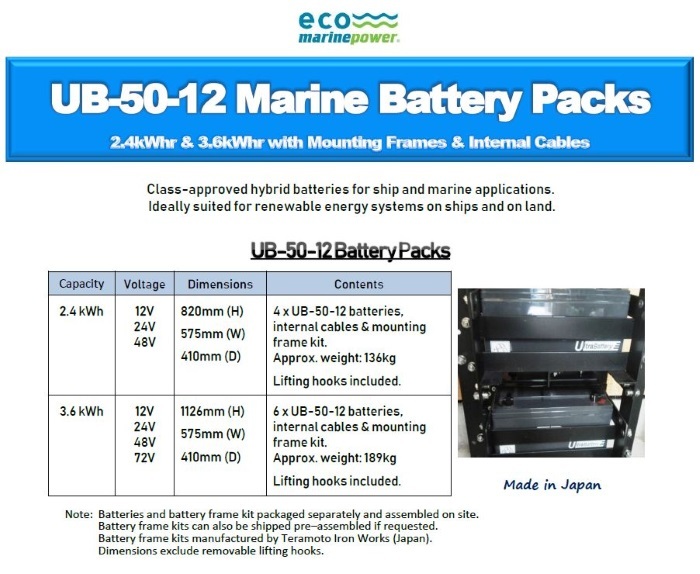 VRLA hybrid battery packs using class-approved batteries have been released in co-operation with The Furukawa Battery Company. These battery packs include easy to assemble battery frame kits that simplify the installation process and reduce costs. The PV modules & mounting frames customization process has been refined and will now be carried out mainly in Onomichi, Japan, in co-operation with Teramoto Iron Works. Additional alarm & performance monitoring features have been added to the Aquarius Management & Automation System or Aquarius MAS. EMP will initiate a certification process for selected PV modules based on the review of specifications, testing & the evaluation of their performance. EMP will also expand the range of technologies being evaluated at the Onomichi MTTC and will work with selected manufacturers of PV modules and solar panels to further optimise them for ship and marine use.